A spokesperson for the bank confirmed her resignation. CMO understands she left the banking group two weeks ago. De Castro was appointed CMO in November 2010 after spending about 18 months as executive general manager of strategy and marketing for business banking. In September 2013, she was also put in charge of NAB’s customer value proposition, shaping strategy and managing execution. One of de Castro’s biggest achievements was supporting the bank’s work to become a more customer-centric organisation, a vision which culminated in its ‘break-up’ campaign, which launched in February 2011. The campaign has been widely recognised as a strong example of an integrated and impactful marketing program that helped NAB to revitalise its consumer brand image. 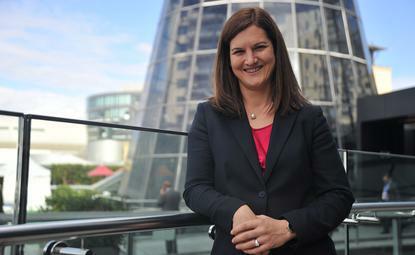 “During her time with NAB, Sandra and her team led the award-winning ‘break-up’ campaign which has had a significant and lasting impact on our business, customers and the industry,” the NAB spokesperson stated. NAB did not comment on whether it was now seeking a replacement for de Castro in the role of CMO. Prior to joining NAB, de Castro spent 15 years with strategy consulting group, Corporate Value Associates, rising to partner. During this time, she worked with an array of financial services and banking clients including ING. It is understood de Castro will take a break before taking up new professional opportunities.